With advanced features and functionality, the SP4603 Series is well suited for highly demanding applications such as fleet management and field dispatch. 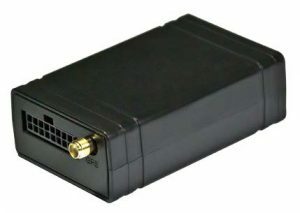 This dependable quad-band GSM/GPRS tracking device is available in 2G and 3G versions to match the needs of the enterprise. It is also well suited for mainstream uses such as insurance telematics and vehicle location/recovery. SP4603 Series units are powered by an over-the-air device management and maintenance system (Programming, Updates, and Logistics System). FOTA (Firmware update over the air), GSM jamming detection and 28 hardware-based geofences make this the perfect choice when you need maximum flexibility and capability. Improve the performance of your fleet with Skypatrol’s GPS tracking device. Contact our team today for a demo of our products to find the device that best fits your needs.